This was one of those books that kept me up till three in the morning eagerly reading, telling myself “just one more chapter”, but not having the willpower to stop until I fall asleep without realising it. From the start, you’re thrust into the same confusing adventure with Thomas, the protagonist we meet who wakes up in a dark elevator with no prior memories of his life. While he knows how the world functions, all his personal memories have been completely wiped. The reader is just as lost as him at the beginning of the book, which is just exciting! I thought Dashner’s writing was very strong in chapter one, you could almost feel the fear cascading off Thomas, and I just had to read on to find out what was going on. Thomas ends up in a place called the Glade, inhabited by 50 or so teenage boys. These boys have their own lingos (jargon/made up language), which is quite confusing at first but you actually adapt to it by the end of the book. Well done Dashner, very impressive world-building there. While we get to meet some of the main characters along with Thomas as he is pulled out of the elevator he wakes up in, very little of his questions are being answered by anyone – which was frustrating! I could relate to Thomas’s anger and frustration, although it got a little annoying a times when he went a little overboard in his whining. Thomas learns that Alby and Newt are the leaders of the boys in the Glade, and he comes across a boy named Gally who hates him from the get-go. Gally’s reason for hating Thomas is soon reviewed, but that only raises more questions. The boys in the Glade had created a pretty structured living. There are farms to tend, buildings to mend, food to cook and the most interesting of all – some boys are ‘runners’, with the responsibility of running around in the large maze surrounding the Glade and mapping it to hopefully find a way out. The story moves at a fast pace, and we are introduced to some key characters that I grew to like. I never really liked Thomas all that much, but I still rooted for him. The boys living in the Glade seemed to have a pretty routinised life, where one new kid arrived in the elevator each month, on the dot. After Thomas arrived, things started to change dramatically and the story moves along quickly! I really like fast-paced plots, so I was extremely happy about that. The very next day, the last thing anyone expected arrived in the elevator. A girl. And she had one weird message to deliver before she fell into a coma. I’m not going to spoil it, but I’ll just say – well, wasn’t expecting that at all. Moving away from the plot, I found a lot of the characters only tolerable but some really made an impression on me. While you obviously are not able to learn about every single boy in the Glade, I think the ones we do meet should have been fleshed out a little more. I guess Dashner focused more on plot than characterisation, which I’m actually not too bothered with. Plot is so important, and he executed it very well. This book is all about hope. The hope for escape, and the hope for finding your old life and memories again. While this theme is prominent in most dystopias, it is so much more so in this book. The whole concept of escaping from the maze is something so different to most dystopias on the market these days – this is truly a frightening world that you hope will never happen. If I really had to pinpoint it, I would say that Dashner’s world is a mix between The Hunger Games and the Saw franchise. But not as brutal as you think, but all the same, you thank whatever you believe in that this book is only fiction. Overall – such an amazing read! 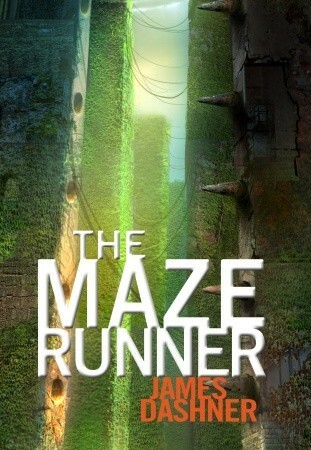 I highly recommend it to everyone who likes dystopian stories. I’ve already started on the second book in the series, I’m THAT excited!